Réalités Industrielles -Mai 2015 - L'industrie chimique : quel avenir en France ? May 2015 - The chemical industry: Its prospects in France? What is the chemical industry good for? 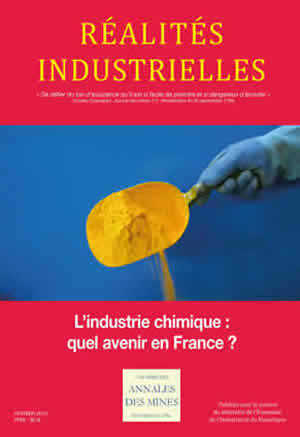 The chemical industry in France: What prospects? The chemical industry’s fortune and misfortune since 1981 in France and the world: What lessons to draw? Can the chemical industry be environmentally friendly?